FUN FOR ALL - The Coolmade ZT-991 Quadcopter is an exciting new drone that is fun and easy to fly for beginners and experienced racers alike. 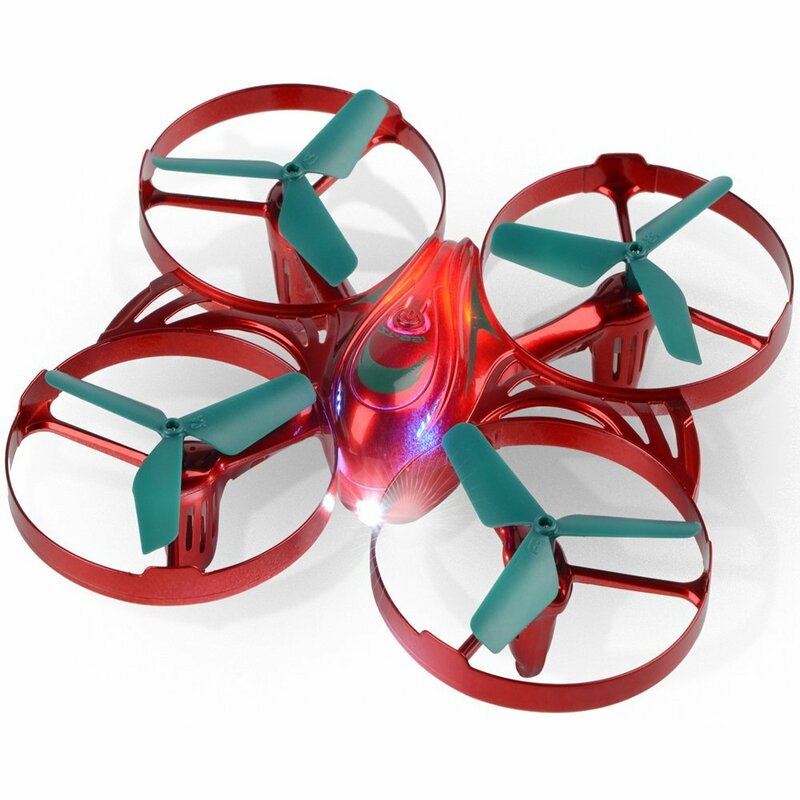 The overall design of this quadcopter is esthetically pleasing as well as functional. The rotor blades are protected by bumper prop guards -- no need to worry about damaging the drone or anything else. As an added bonus, the front LED headlight makes it easy to know which way is forward while flying. 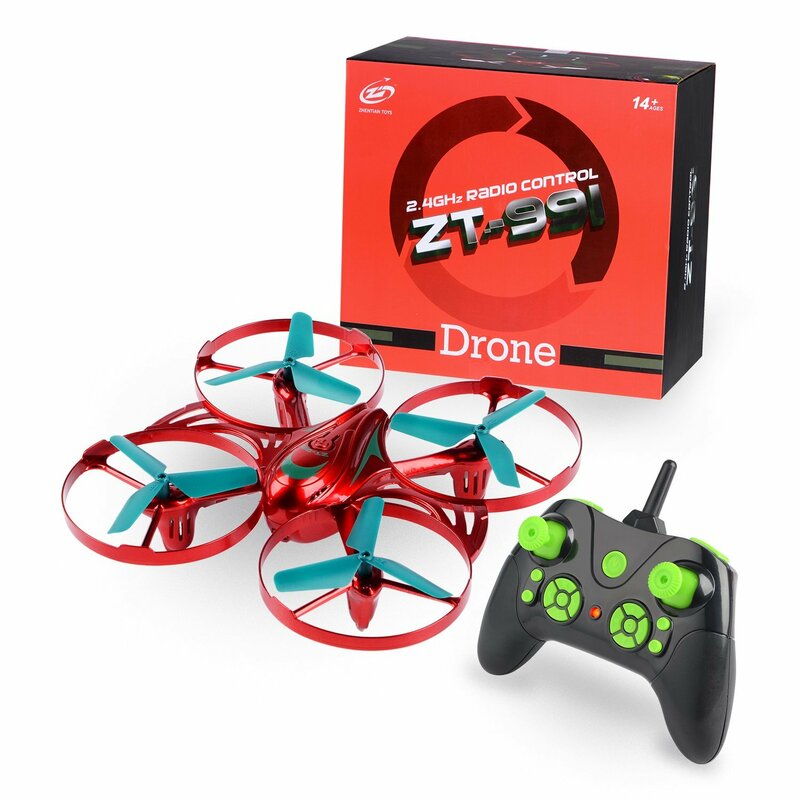 HI-TECH FEATURES - The ZT-991 drone includes easy one-touch take-off and landing buttons, as well as 3 speed modes for the smoothest flight experience. To hover in one place, simply release the throttle; the high-precision altitude holding feature will automatically engage. The “Return Home” key will reverse the quadcopter back to you. Press any key to disengage this mode. 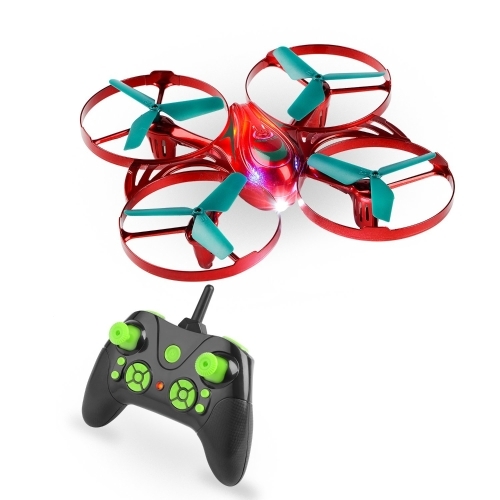 HEADLESS MODE - When you activate headless mode (aka carefree or head-free mode), the quadcopter will ignore it’s original orientation, and the onboard flight computer will align the drone's movements relative to the controller. Pushing the right-hand joystick up moves the drone forward relative to the way you and the controller are facing, regardless of the orientation of the drone. For this to work properly, ensure the front LED side is pointing away from you at take-off. ONE KEY 360° Flips - Impress your friends with amazing 360 degree drone stunts. After pressing the upper right-hand flip button with your index finger, the controller will emit a beeping sound letting you know it’s ready to roll. Use the right-hand joystick to complete the flip in your desired direction (Left, Right, Forward, Backward). 100% QUALITY GUARANTEE 30 DAY BACK MONEY GUARANTEE - 12 MONTH WARRANTY: Please rest assured that you have made the right purchase. Our ZT-991 Quadcopter Drone is the best choice. We are very confident with the quality of our product which is why we provide a 12 month warranty.